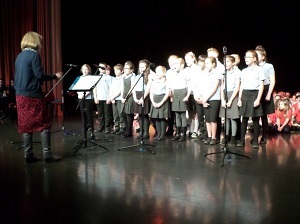 The Choir singing at the Bideford Learning Community Singing Festival. 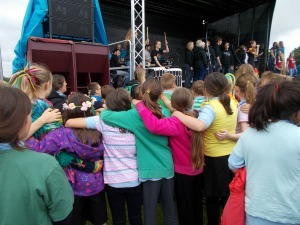 They sang 'One Call Away' as a choir and 'O Fortuna' and All Together Now' as a whole choir. 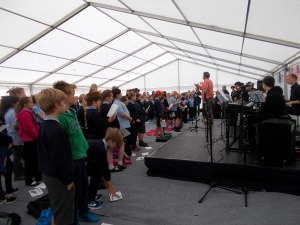 Year 5 enjoying The Mix Music Festival at Tapeley Park. 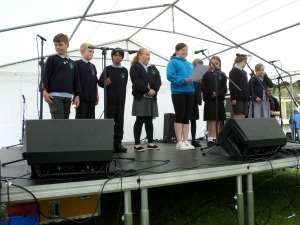 The choir performing at The Youth Music Festival in Bideford Park, they sang a half hour set. 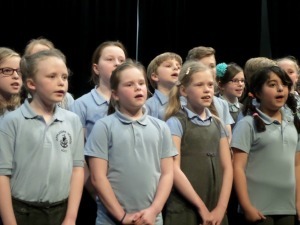 On Tuesday 21st March the choir performed in the 9th annual Bideford Learning Community Singing Festival, they performed a great rendition of Cyndi Laupers 'True Colours. 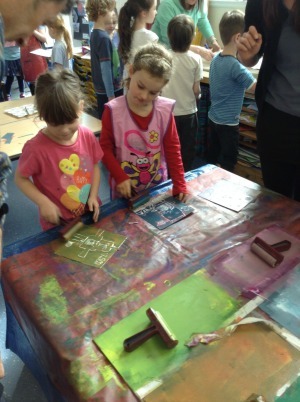 Double Elephant Printing Company working with Year One and Two to create prints of their robots. 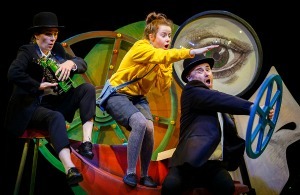 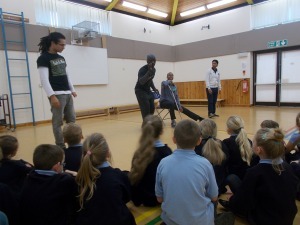 Tangled Theatre Company who are south west based came to work with Years 3 and 5. 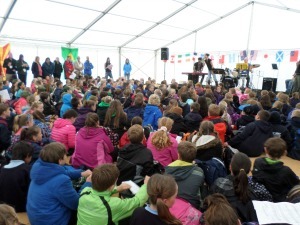 The children had a go at singing songs in two part hamonies. 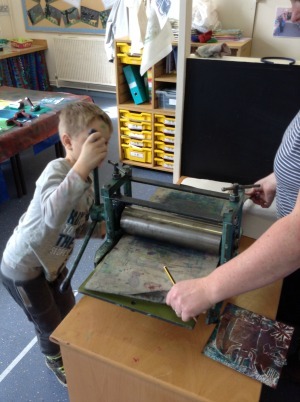 Celebrating our Gold Artsmark Award by having a 'All things Gold' day. 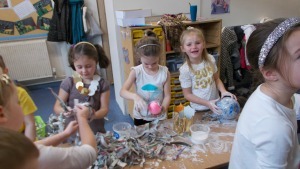 Did you see us in the newspaper? 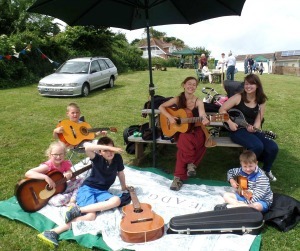 Chloe’s guitar group playing at the Queen's Birthday Fair in Backfield on June 11th 2016. 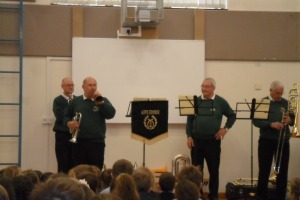 Appledore Band performed to us and worked with Year 5. 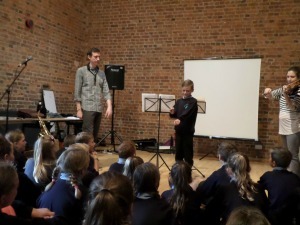 We had great fun playing the instruments! 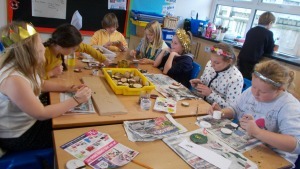 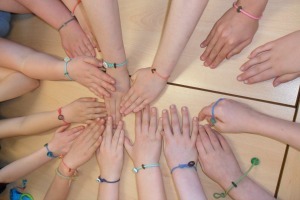 During Arts Week, Mrs Williams and Mrs Cairns worked with Year 4. 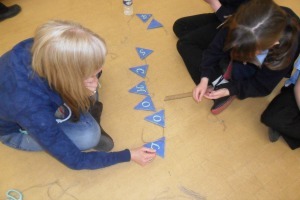 Half the class worked with Mrs Williams making bracelets and wrist bands and the other half worked with Mrs Cairns making bunting for our Arts Gallery. 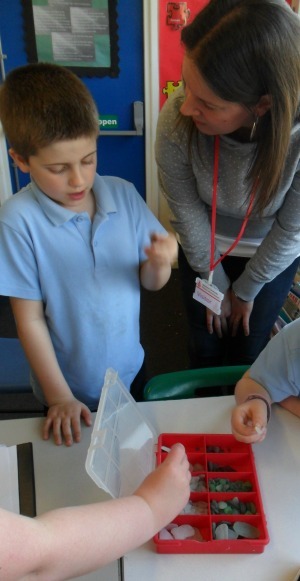 We would like to say a big thank you to both Emma and Laura for giving up their time and sharing their arts skills with us. 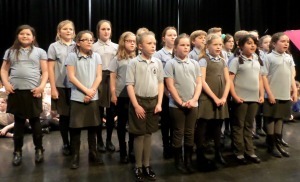 On Wednesday 9th March, Appledore Choir took part in the Bideford Schools Singing Festival at Bideford College. 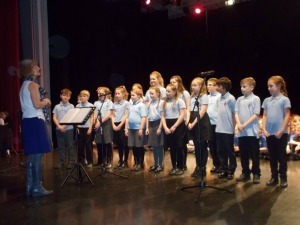 They sang with other schools in the local community on 2 collaborative numbers and sang their own song that they had been practising. 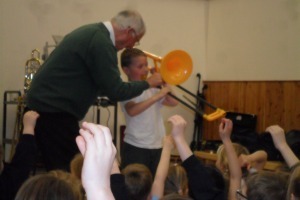 On Thursday 11th February Peter Moore and Jonathan Ware from the Bideford Music Club came to perform to us. 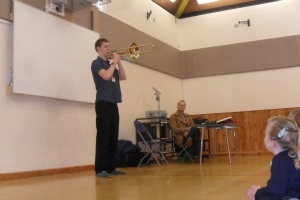 Peter plays the trombone and Jonathan, the piano. 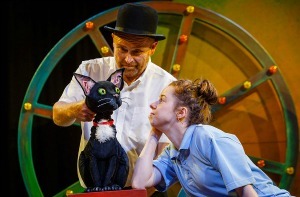 On Friday 11th December 'Theatre Alibi' came to perform their play 'Olive and the dream train' to us. 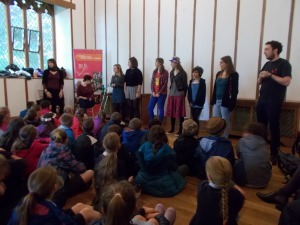 We walked down to the Community Hall to watch the performace.